4 months of meticulous planning. 2 months of dedicated practice. 1 week of intense rehearsals. 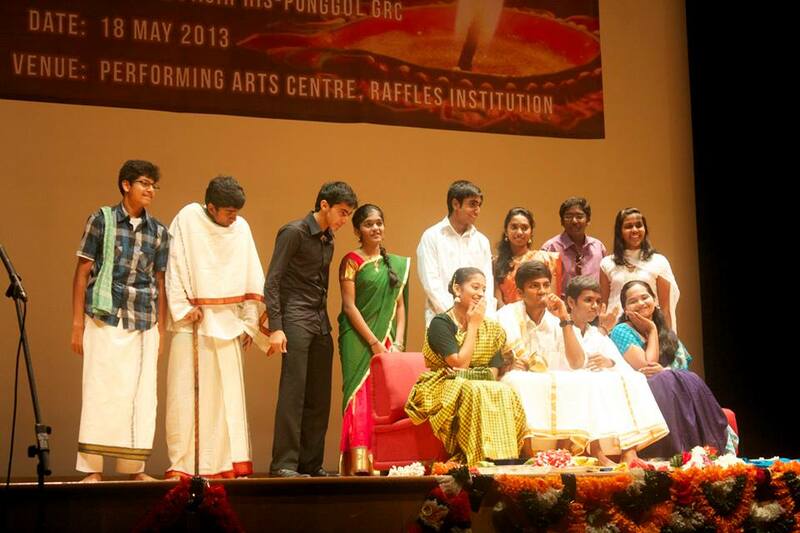 18th May 2013 marked the day that Raffles Indian Cultural Society (ICS) had been preparing for – Sangamam. 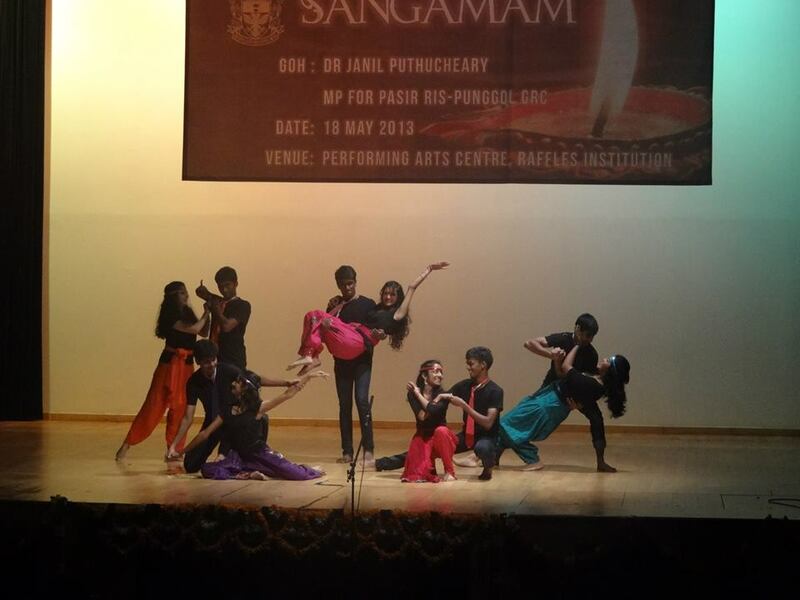 Largely considered the most anticipated cultural night of the year, Sangamam brought together a close-knit community revelling in music, dance, colour and drama. The event started off with the song Tamil Thai Vazhthu, a song sung in praise of the tamil language and culture, an age-old custom to mark the beginning of Indian events. 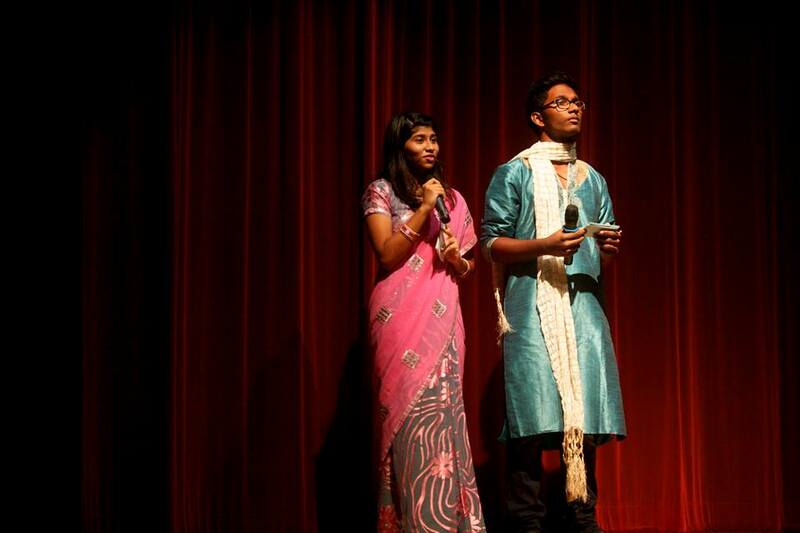 This was followed by own Raffles Indian Dance’s opening routine, Natya Shristi. It was a splendid classical piece that depicted Bhava (Expressions), Raga (Music), Tala (Rhythm) and Natya (Dramatic dance). The myriad of emotions and flavours in the piece made it a colourful and lively feast for the eyes. 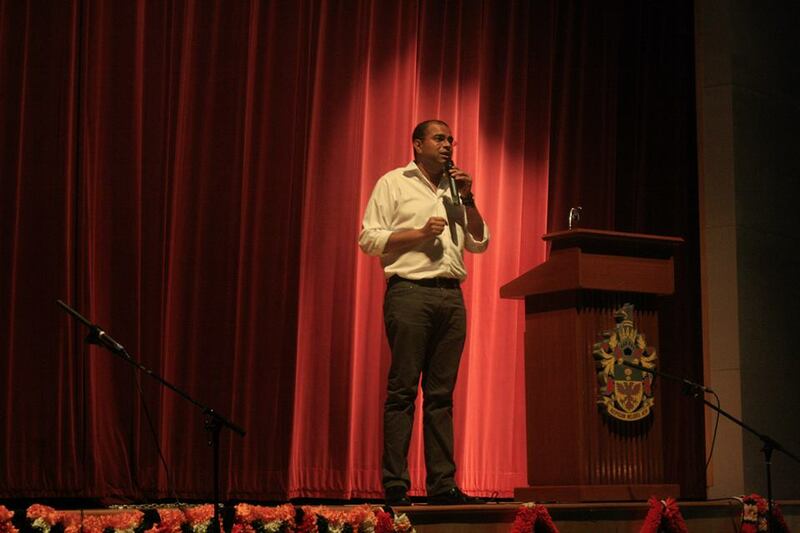 This year, Sangamam was graced by Mr Janil Puthucheary, MP for Pasir Ris-Punggol GRC, and of course, our very own principal Mrs Lim. 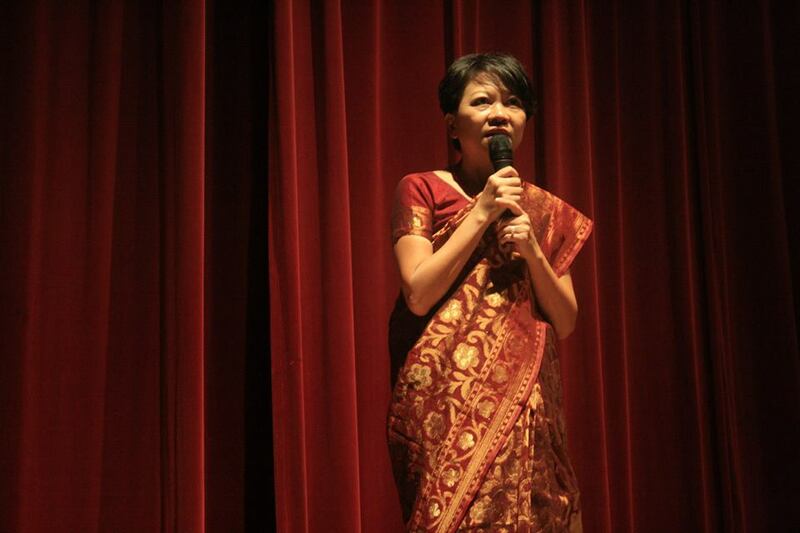 Even Mrs Lim joined in the spirit of the occasion, arriving in an elegant traditional Indian saree. As the lights dimmed and the crowd cheered, the Year Fives took the stage for the first time with their batch performance. 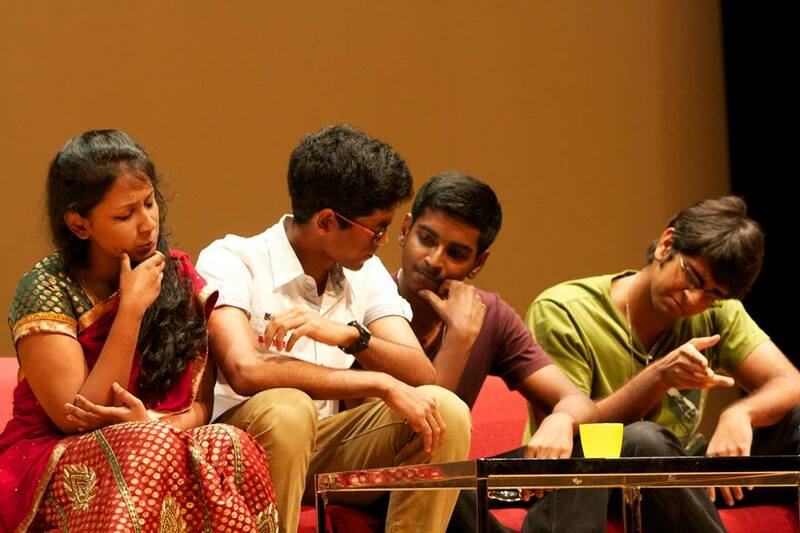 Thirteen of them put up a comical drama based on the themes of love, family and friendships. 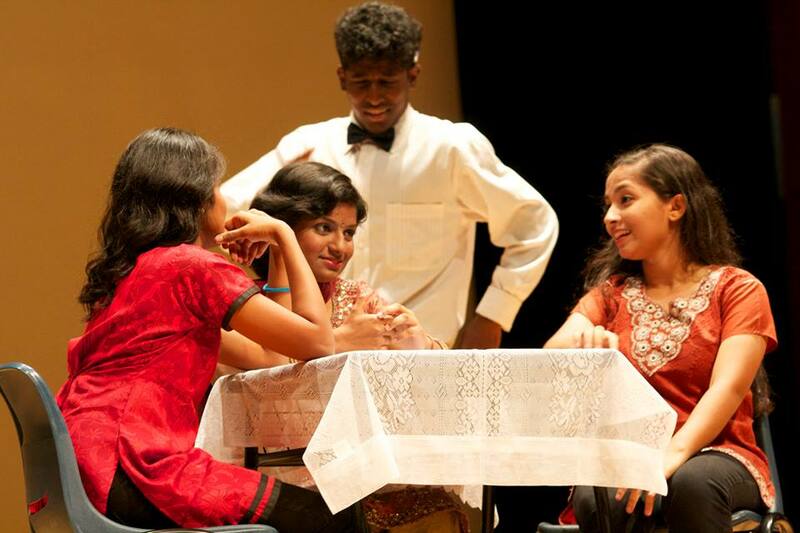 The drama followed Muthu, Aruna, Karthik and Ambhu as they ventured into a little adventure to succeed in love. Although it was their first experience acting for most of them, this did not deter them from stepping into the characters’ shoes, bringing them to life. With a well-crafted script and storyline, the drama was a full entertainment package, bringing forth peals laughter from the audience. After a captivating performance, the audience enjoyed a medley of songs sung by our very ICS members. 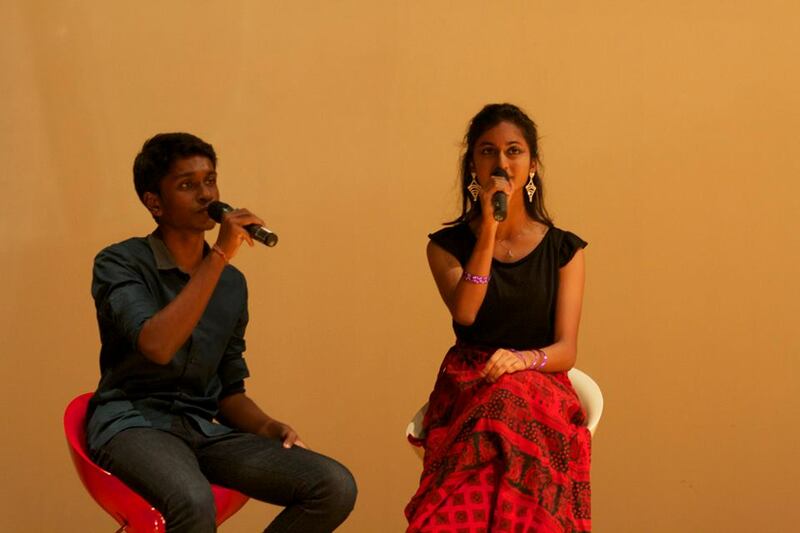 The medley comprised of various soothing Tamil songs from famous movies, including Kumki and Kadal. The familiarity and exuberance of the songs got the audience singing along too! This segment definitely brought a smile to many faces. The concert proceeded shortly after, with a classical performance. With the confluence of both Carnatic and Hindustani elements, this segment featured the various facets of Indian classical music at its finest. 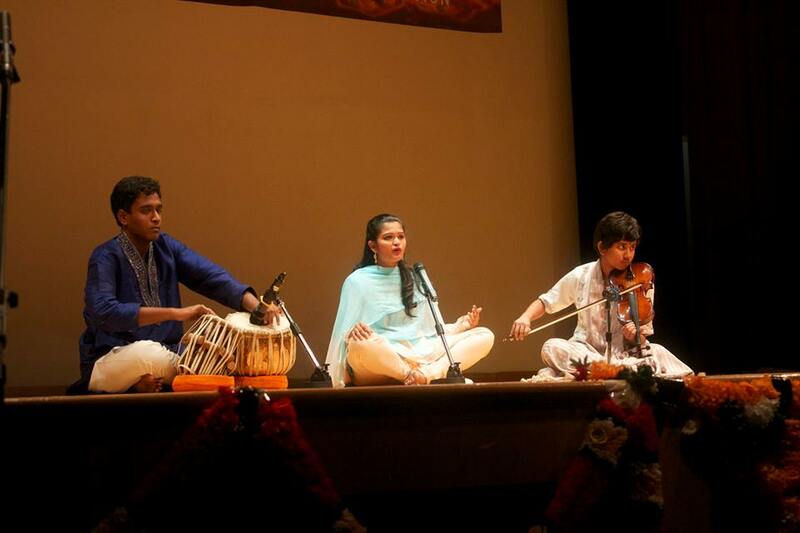 The performance was executed in perfection, as all three performers, Govind, Swedha and Priyadarshini, were trained and had prior experience in classical music. 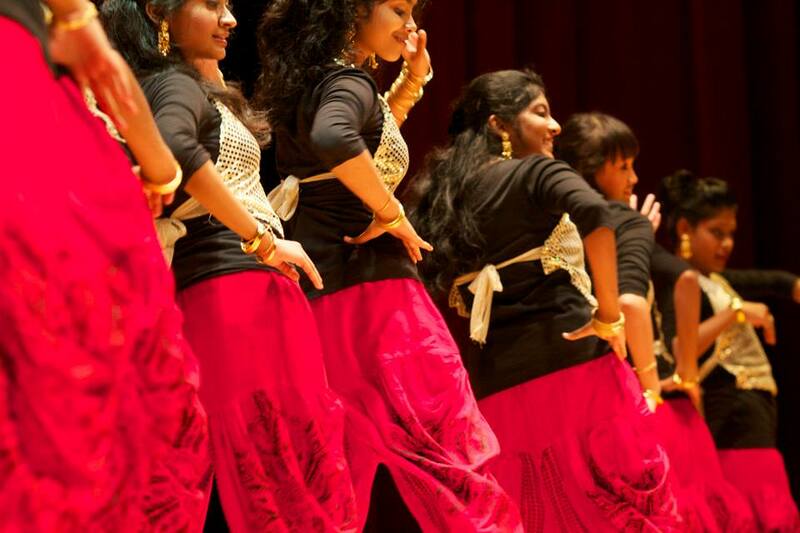 The Indian dancers took the stage by storm, and this time, it was a trendy and fun Bollywood performance. In a truly heartwarming moment, the batch of 2012, despite having graduated from the school, returned to put up a joint performance with the Year Fives, a genuine testament to the bonded community – the Raffles family. This was followed by yet another comedic drama production by the graduating batch of Year Sixes. Steering away from the tried and tested Sangamam Drama formula of romance, comedy and happily ever afters, this drama took an original turn, making for a fresh change for audience members. In the play, the main character, Sanjay, meticulously makes countless attempts to impress his wife Maya, with the help of his family and friends, albeit in funny laughable ways. However, contrary to our expectations, Maya remained immune to his charms right till the very end! With its unusual ending, the senior batch’s bold attempt of trying something new this year definitely paid off. The much awaited couple dance did not fail to dazzle the crowd. The five pairs did an excellent job, and unlike previous years, there was clever use of props in the dance too. The performance followed five couples as they danced their way through a fun and emotional journey from a pattikaadu (village) to the pattinam (city). A special feature of the couple dance this year was the use of glow-in-the-dark masks! It provided a truly an innovative touch to the dance which did not disappoint. The show ended with a bang, with the finale performed by the whole CCA. All the members rocked the stage as everyone rocked out to fast, upbeat songs, ending the show in a highly memorable manner. She also praised the commitment of the other members in the CCA for their effort despite various commitments, citing thanks to the teacher-in-charge Mdm Meera, Fahima the co-IC, the EXCO members and the CCA. “I learnt a lot about the talents of the other members in my CCA,” she said. 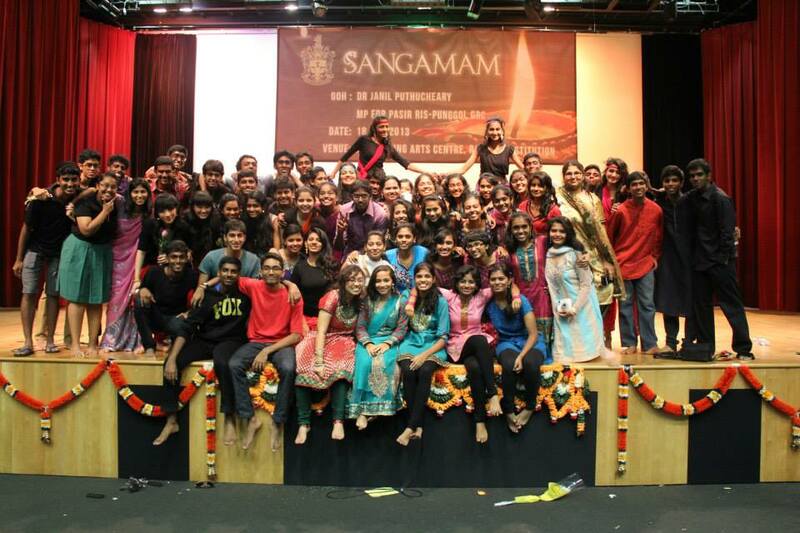 Although it was mainly a Tamil event, Sangamam did not fail to attract the non-Tamil speaking crowd. Year Five Cheryl Huang had come to support her friends. “It was a really colourful show. I could see the amount of effort put in by all the members and it was really heartening to see how their Indian community is so bonded. 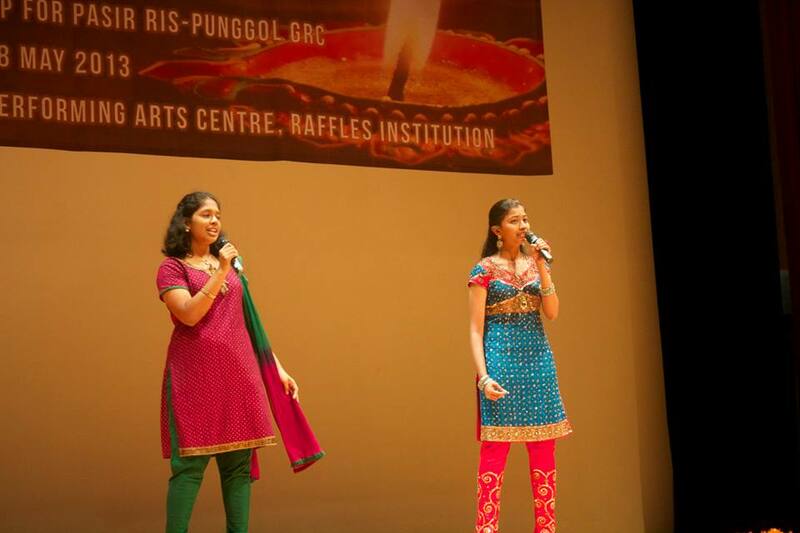 It was a really fun concert and it was great to see all their different talents.” Sangamam proved to be a great success, and Raffles Press wishes Raffles ICS to another great year ahead.